This past weekend while visiting family and friends in Oklahoma we spent a day help Miss Linda (my mother-in-lay) in her garden. She had this stepping stone DIY project she wanted to work on and I volunteered to help out. Not only was this project fun but also super easy. We started first by using the lids of the bowls to layout our pattern. Which latter we discovered that the lids are a little smaller than the bowls themselves, so we had to ensure there was a space between our design and the edge of the bowl lid in order for the design to fit when placed in the mold. The next step was to spray all the bowls with the cooking spray. This would allow the concrete to side out of the bowl with ease, once it had set. Then we measured out a bit of concrete out of the bag and mixed it with a little water. We just sort of eyeballed the mixture until we felt like it had enough water, stirring with an old ladle in a bucket. Once the mix was to our liking we filled the bowls about 2/3 of the way up with the concrete mixture. They weren’t lying when they said this stuff was quick-setting because it started to firm up quickly. So we had to move really fast to get the gems in place. We waited about two hours before we thought it was safe to remove the stones from their bowl forms. We set them out on some little patio tables where they could air dry in the sun. Since we used regular concrete mix, there is a mix of gravel in the stone, which I think also contributed to the speed in which they were drying. There is however a special “stepping stone” concrete mix you can get at the hobby / craft stores, which is smooth and doesn’t have any gravel. We had one box of that and it only made 4-6 stones, and at the cost of the materials, but for the cost we it was more economical to use the bag of concrete from the hardware store. 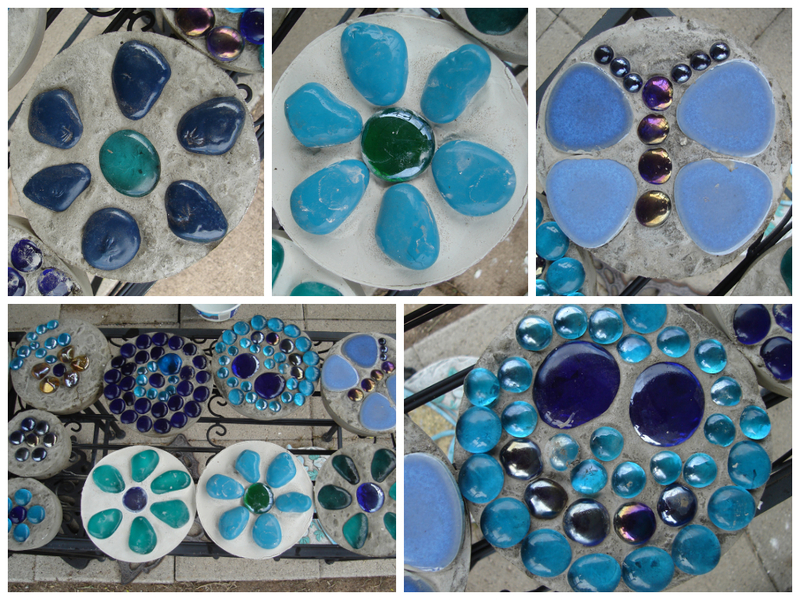 I really like how these stones came out, especially the flowers, because they have a simple but nice look to them. Though I couldn’t resist making a happy face, while Miss Linda experimented with making a butterfly. 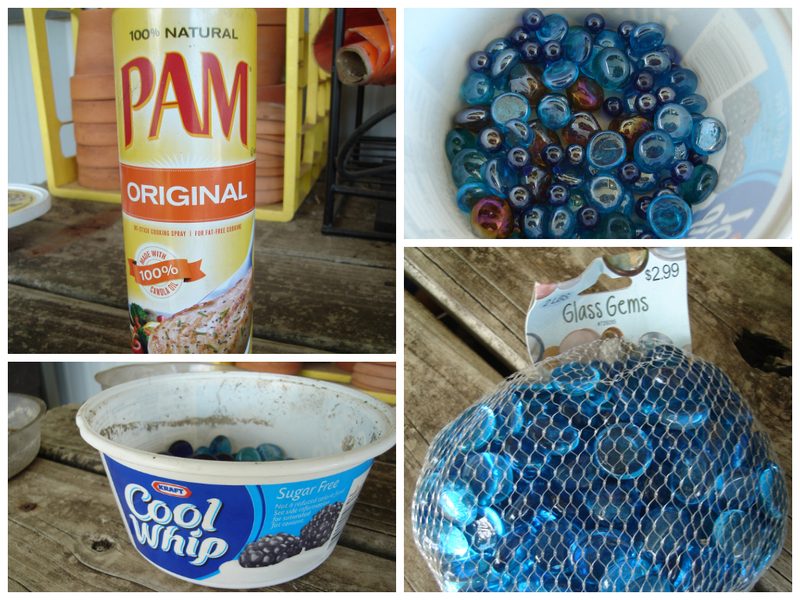 Learn how to make a stylish DIY rope basket using a Cool Whip container, rope, and a glue gun. The perfect size for holding small items.